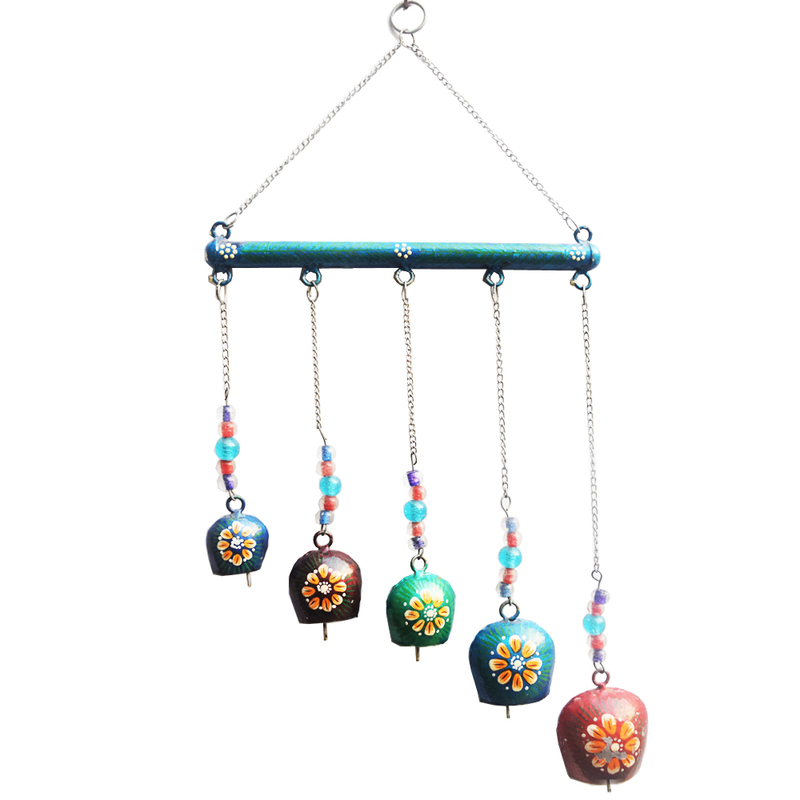 Beautiful metal wind chime with eye catching colours and designs. 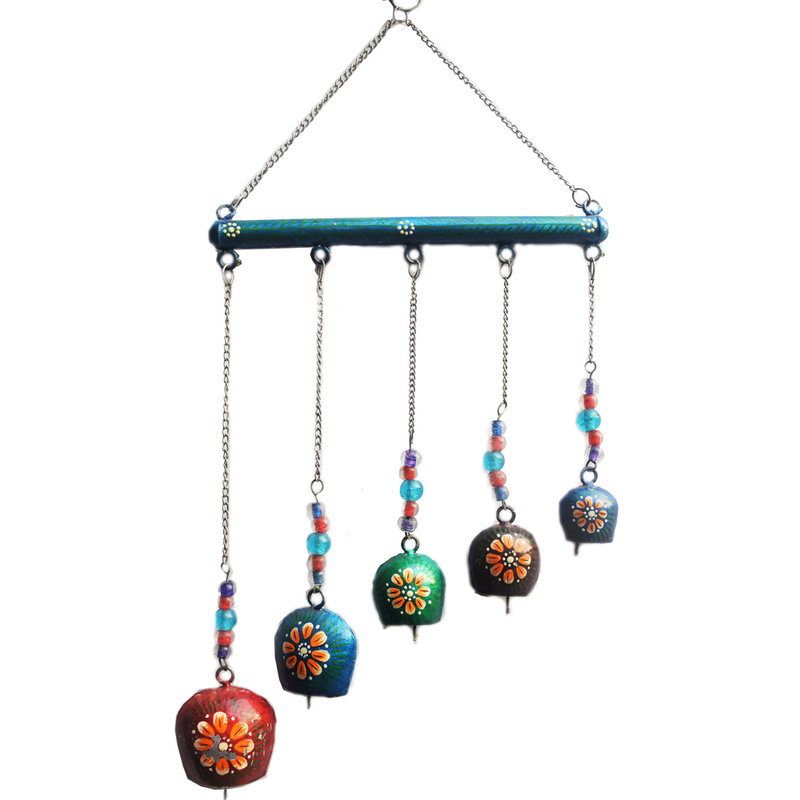 A fine piece of art for your home to hear a jingle or two every now and then, this inspired from Rajasthani artwork wind chime Read More..has elaborate patterns drawn on each of the ball like bells. Show Less..